BluCore Shooting Center, a Denver gun store, shooting range and firearms training facility, has just announced that they are now accredited with the Denver / Boulder Better Business Bureau (BBB). This is exciting news for Blucore as they are one of a select few of gun stores / shooting ranges in the Denver metro area to receive a BBB accreditation. The BBB recently modified the way it gave accreditations to gun ranges and gun stores. We participated in the process of this re-evaluation. In essence, we helped reset the standards for firearms-related businesses seeking accreditation through the BBB. BluCore Shooting Center, a Denver gun store, shooting range and firearms training facility, has just announced that they are now accredited with the Denver / Boulder Better Business Bureau (BBB). This is exciting news for Blucore as they are one of a select few of gun stores / shooting ranges in the Denver metro area to receive a BBB accreditation. 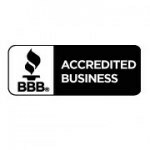 The new accreditation allows BluCore to add the BBB logo to their store front, web page and marketing materials. It also adds them to the BBB online database and business directory, letting consumers know that BluCore upholds the BBB standards of ethical selling and advertising practices. BluCore, which is locally owned and operated by former Navy Seals, is well known in the Rocky Mountain Region for being a quality provider of firearms as well as being one of Denver’s premiere shooting ranges. BluCore’s Lakewood location offers the unique experience of having a gun store, shooting range, and firearms training, all within a single facility. In addition to their physical location, the BluCore Online Gun Store offers over 70,000 products including a wide range of firearms, ammunition, state-of-the-art optics and firearms accessories. The BBB rates businesses based on a formula that takes into account such factors as the type of business, complaint history, government action, licensing and time in business. BluCore has received an initial rating of A- and will be qualified to receive an A rating after they have been accredited members of the BBB for four years. They will be qualified to receive an A+ after seven years as an accredited member of the BBB. BluCore’s stated mission is to “redefine the firearms experience” and they are doing just that. Their state-of-the-art shooting center offers three different shooting ranges including a 100 yard indoor rifle range. These shooting ranges are equipped with high-tech electronic target retrieval and ventilation. BluCore also offers firearms classes, beginner to advanced, covering a wide range of topics such as pistol training, rifle training, home defense and more. These classes have even been featured on Spike TV and BluCore has a large selection of firearm training videos available on their YouTube channel. About The BluCore Shooting Center: The BluCore Shooting Center was founded in Lakewood, Colorado by two former Navy SEALs with one goal in mind: "To re-define the firearms experience!” They do this by providing the best firearms, firearms accessories and ammunition at the best prices with the best customer experience. The BluCore Online Store offers a wide variety of firearms, firearms accessories and ammunition to meet your shooting sports needs. Their website automatically updates every five minutes to reflect current inventory and pricing. BluCore Shooting Center is "re-defining the firearms experience!" both at the BluCore Shooting Center and the BluCore Online Store! Take a look at their huge selection of firearms and related products, all available for online and mobile purchasing, 24 hours a day!